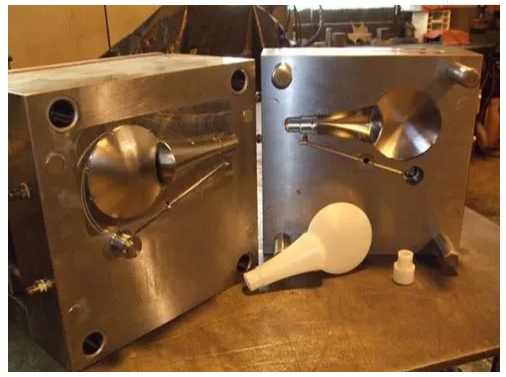 Exhaust of injection molds is a problem that cannot be ignored in mold design. Poor exhaust gas can cause numerous problems, such as: porosity, voids, charring, air bubbles, surface silver streaks, and obvious weld lines. 1. The air stored in the feed system and cavity. 2. The water vapor generated by the evaporation of water contained in plastic at high temperatures. 3. Gas produced by decomposition of plastics. 5. Inclusion of air and moisture in the feed! 8. The size of the exhaust groove must be suitable (generally about 0.2-0.3mm), according to the specific materials and product requirements to select processing, try to avoid causing flash. 7. Apply vacuum exhauster to achieve active exhaust and complete exhaust.